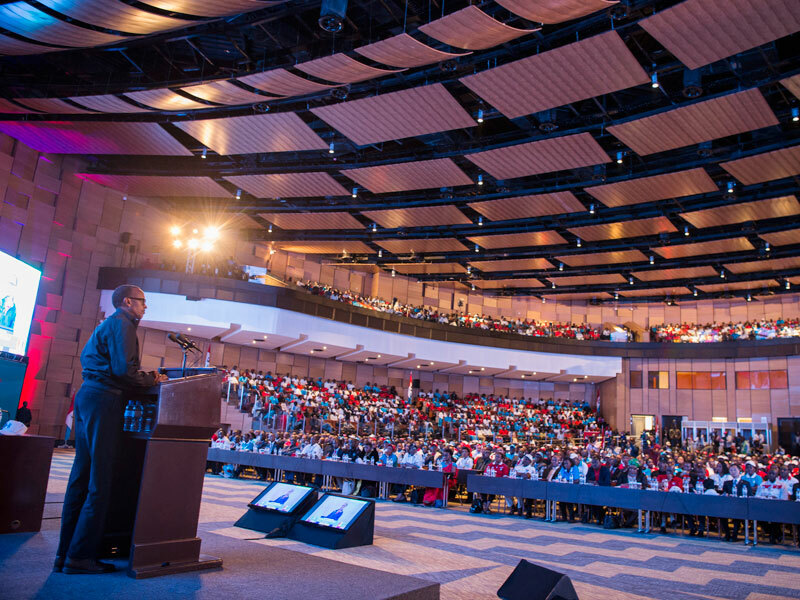 Rwandan President Kagame hit double jackpot Saturday with the launch of $10 million (about Shs35 billion) ruling party headquarters and resounding victory in congressional election. 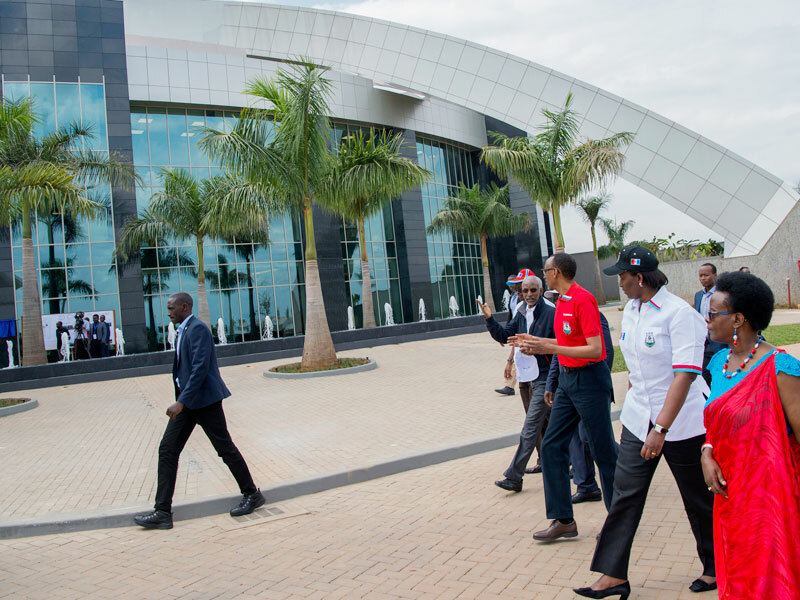 That the ruling Rwanda Patriotic Front (RPF-Inkotanyi) voted Kagame 1929 of the 1930 delegates was not the highlight of the Party Congress but rather the glitzy ultramodern RPF Complex whose launch has left Ugandans wondering how far the NRM are in their dream to build a party headquarter. 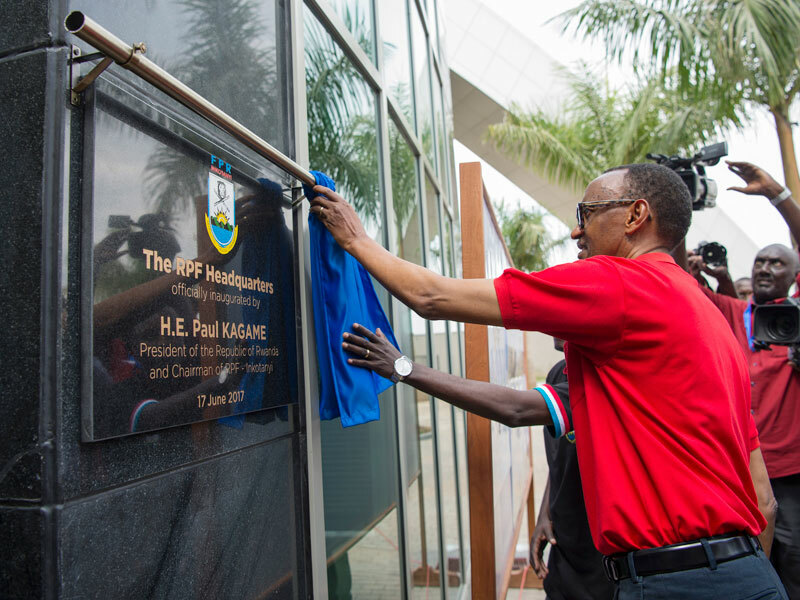 Kagame the RPF chairman, laid the foundation stone for the construction of the RPF Complex, in Gasabo District, Kigali, in December 2012, with a call to all Rwandans to make use of the facility once it is complete. Since then, things have been quiet as the Rwandan ruling party continued using a residential house — more like its Ugandan counterparts. Uganda’s National Resistance Movement still uses Plot 10, Kyadondo Road, in Nakasero for party headquarters. NRM grand plans to construct a 27-storey headquarters was launched in 2012. Same time with RPF. Although the latter only went for a two-storey complex, NRM’s 27 storey complex (symbolic of the 27 men who started the protracted war to oust Milton Obote in February 1986) would be expected to take a bit longer. NRM’s Kasule Lumumba at the RPF Congress. Courtesy. There is hardly much to say of the progress of the construction to-date though. Or perhaps, like RPF, NRM is keeping their cards closer to their chest waiting to scintillate party delegates at the grand opening many years from now. 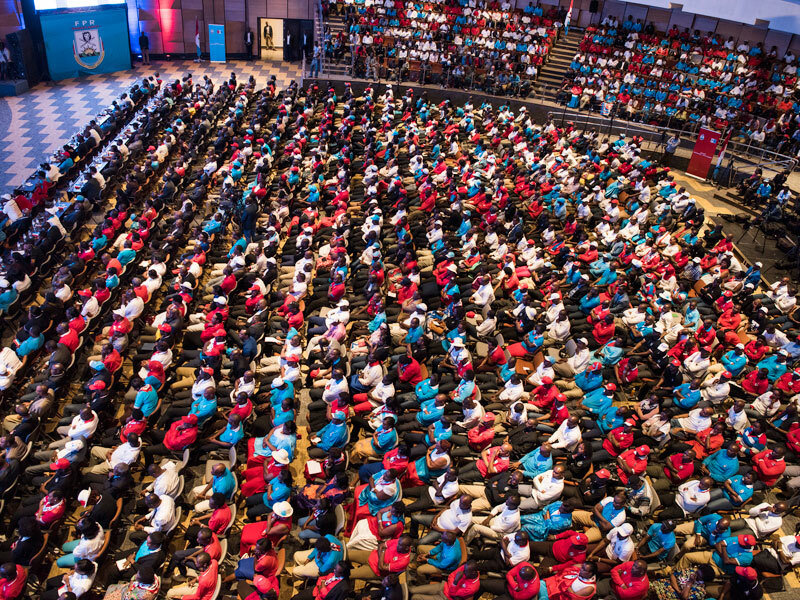 On Saturday, RPF delegates were left grinning ear to ear as they were ushered into a 1500-seater conference hall of the complex that also contains a political school, accommodation facilities, a restaurant, ICT chamber, among other services. 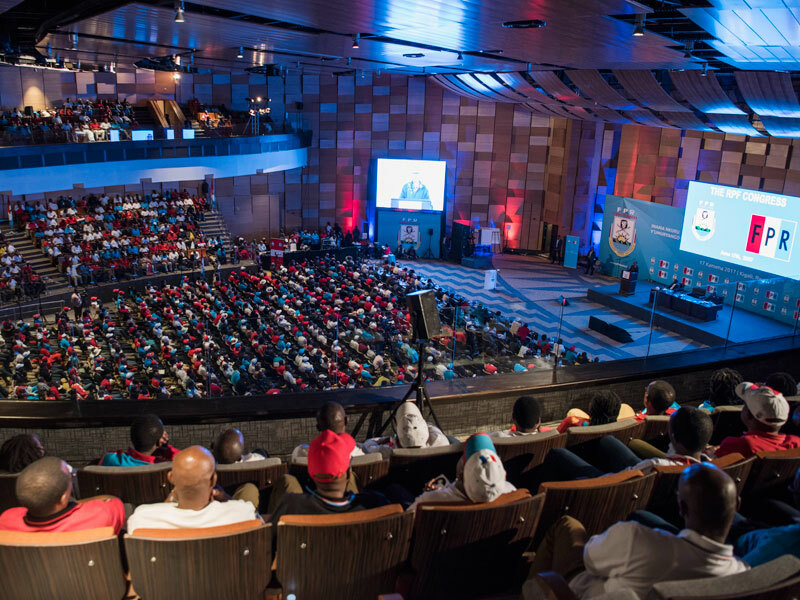 The Saturday RPF Congress was attended by thousands of delegates, including representatives of foreign political organisations from the region and beyond. 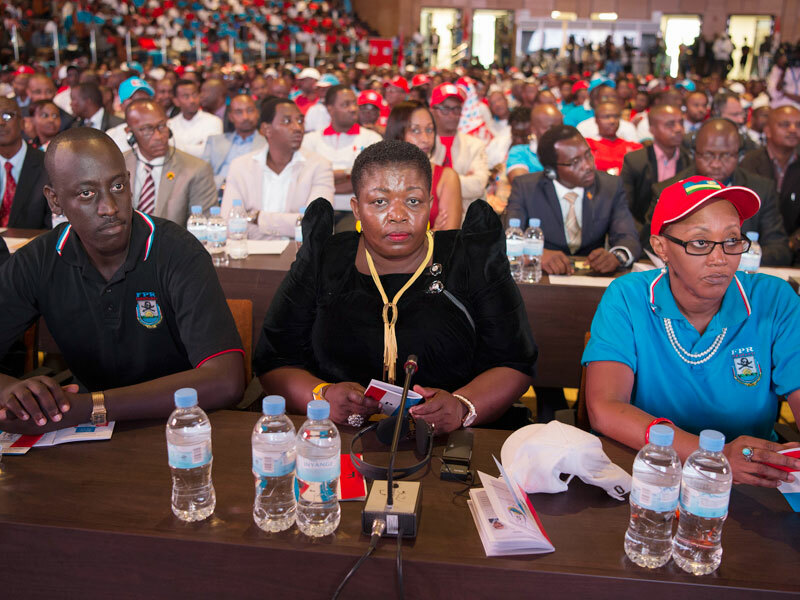 NRM secretary-general Justine Kasule Lumumba represented Uganda’s ruling party where she congratulated Kagame upon winning party mandate to lead the RPF in August Presidential Election. Rwandans go to poll on August 4 and 5. Kagame, who is expected to pick his nomination forms next week, will be running for a third seven-year term. So far, two candidates have picked nomination forms to challenge Kagame. Frank Habineza, of Democratic Green Party of Rwanda, Gilbert Mwenedata, an independent, submitted their documents with the electoral commission, while a third hopeful, Fred Barafinda Ssekikubo, turned up to present his candidature without proof of nationality last week and was turned away. Diane Rwigira, whose nudes were leaked to public on social media after she declared intentions to challenge for the presidency, is yet to clear with the electoral commission.